Ride like Team Sky with the SiS Team Sky 3 Hour Training Pack, filled with everything you need to power you through your next 3-hour ride. 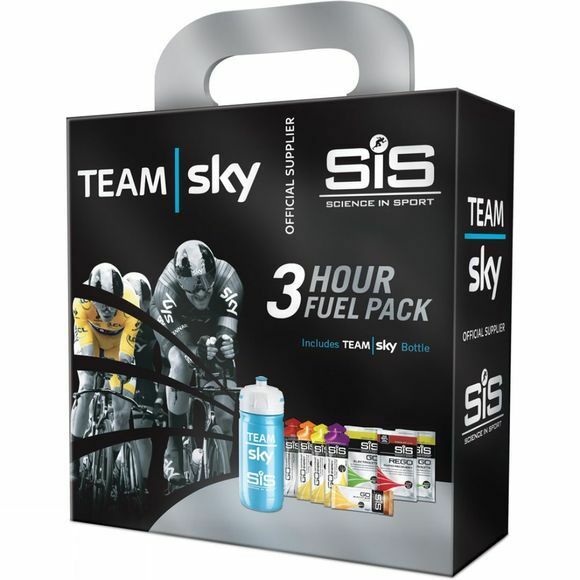 The products included are the exact same used by Team Sky throughout 2016, and are worth over £20, so this pack offers unbeatable value for money. 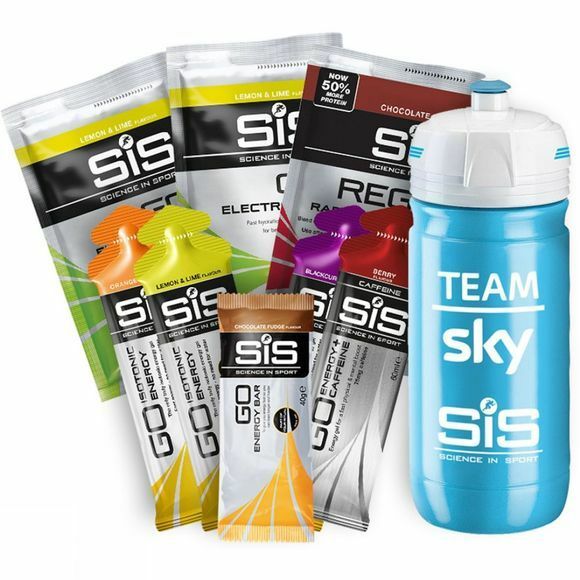 Includes an Elite Team Sky 500ml water bottle, 3 x Go isotonic energy gels 60ml (blackcurrant, lemon & lime and orange), 1 x Go energy + caffeine gel berry 60ml, Go energy bar mini chocolate fudge 40g, 2 x Go electrolyte sachet lemon & lime 40g and 1 x Rego rapid recovery sachet chocolate 50g. Carbohydrate mix (92%) (maltodextrin(produced from partial hydrolyses of a special variety of maize), fructose), natural flavouring, citric acid, electrolytes (2%) (sodium chloride, calcium lactate, potassium chloride.